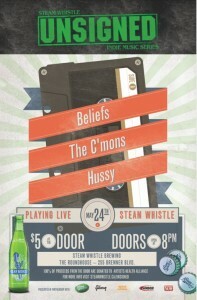 Steam Whistle celebrates 25 shows of “Unsigned Series” in Toronto! Friday May 24, 2013. The Steam Whistle Roundhouse. Doors 8pm $5. All ticket sales proceeds going to the Artists’ Health Centre Foundation. Stream Beliefs at Dazed & Exclaim! “The album will please fuzz-lovers with distortion-filled amp-melters like “Catch My Breath,” while seven-and-a-half minute closer “Gallows Bird” begins with contemplative arpeggios before exploding into a cinematic epic.” ~ Exclaim! 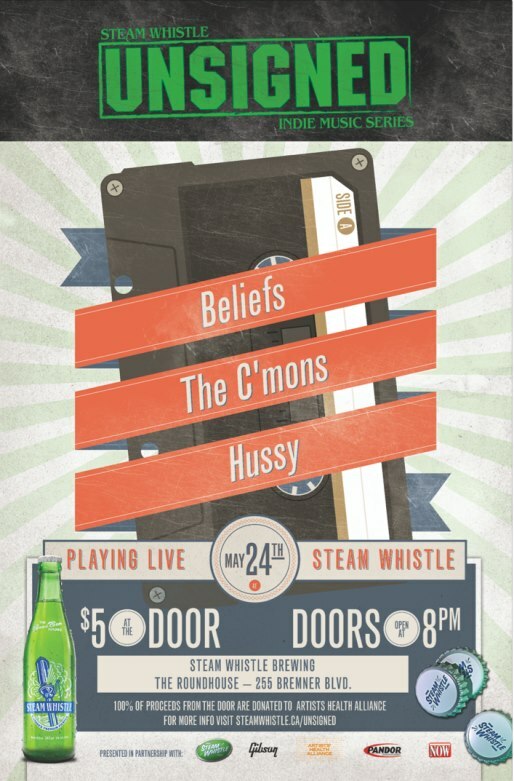 http://beliefsmusic.com/2013/wp-content/uploads/2017/09/18-b-logo.png 0 0 HDD http://beliefsmusic.com/2013/wp-content/uploads/2017/09/18-b-logo.png HDD2013-03-04 17:40:212013-05-26 17:57:04Stream Beliefs at Dazed & Exclaim! Just ahead of our debut album release, we have a new video for “Lilly“, directed by Ivy Lovell and Benjamin Portas. “Lilly” premiered on Stereogum, Paper Magazine, Chartattack, & Exclaim! Magazine. 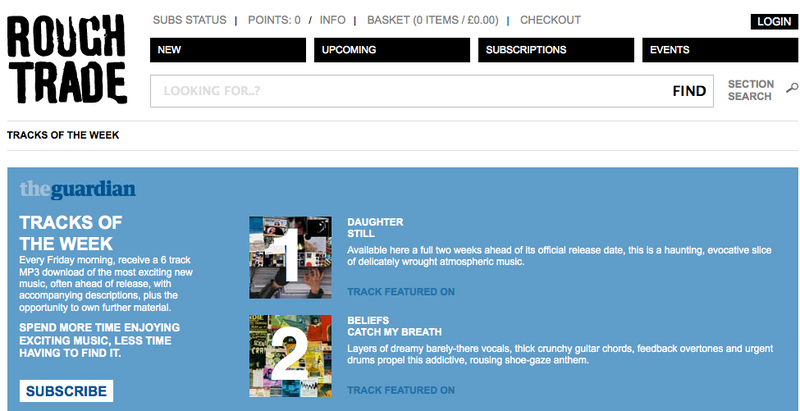 “Catch My Breath” is also named Track Of The Week over at Rough Trade & The Guardian UK. 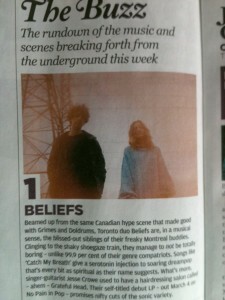 #1 BUZZ in this week’s issue of NME Magazine! Beamed up from the same Canadian hype scene that made good with Grimes and Doldrums, Toronto duo Beliefs are, in a musical sense, the blissed-out siblings of their freaky Montreal buddies. Clinging to the shaky shoegaze train, they manage to not be totally boring – unlike 99.9 per cent of their genre compatriots. Songs like ‘Catch My Breath’ give a serotonin injection to soaring dreampop that’s every bit as spiritual as their name suggests. What’s more, singer-guitarist Jesse Crowe used to have a hairdressing salon called – ahem – Grateful Head. Their self-titled debut LP – out Mrch 4 on No Pain In Pop [March 5th on Hand Drawn Dracula & Manimal] – promises nifty cuts of the sonic variety. We have a brand new video for the bonus track and digital single “Violets“, directed by Adam Christopher Seward of RITUALS (http://adamchristopher.4ormat.com). 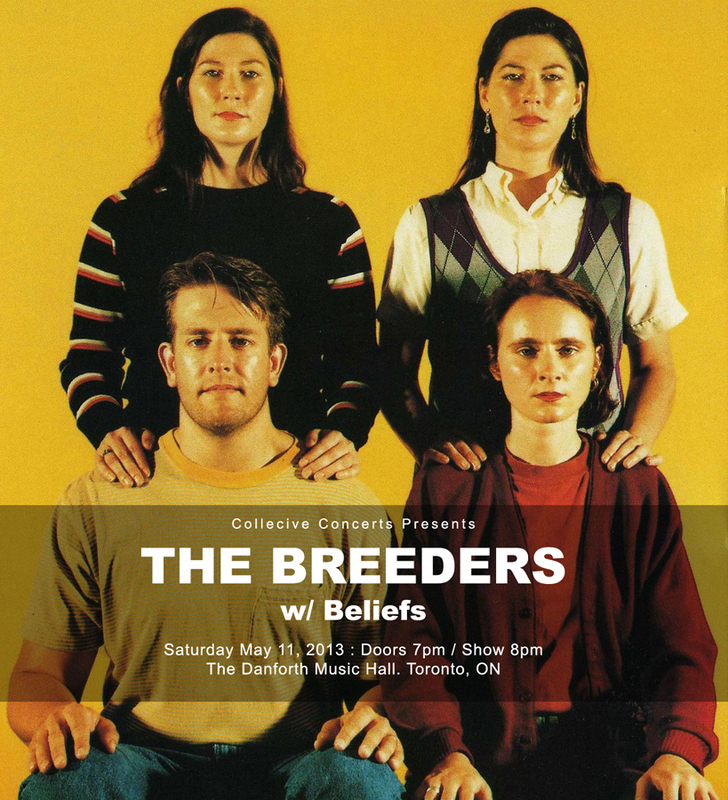 “Violets” premiered on MuchMusic’s The Wedge, Exclaim!, Chartattack, & NYLON Magazine.